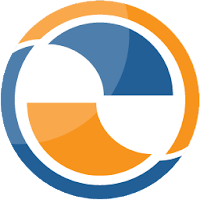 Syncovery (formerly Super Flexible File Synchronizer) is a versatile file synchronization and backup software used to backup your data and synchronize PCs, Macs, servers, notebooks, and online storage space. You can set up as many different jobs as you need and run them manually or use the scheduler feature that can run as a service - without users having to log on. Furthermore, The software comes with support for FTP, SSH, HTTP, WebDAV, Amazon S3, Google Drive, Microsoft Azure, SugarSync, box.net and many other cloud storage providers, as well as ZIP compression and data encryption. Note: the program is also available in German and French, go to "Other Languages" section on this page https://www.syncovery.com/download/windows/. Developer: Super Flexible Software Ltd. & Co. KG. Disclaimer: Direct downloads for the lastest version of Syncovery 7.88 are provided by the official software's author, we can't guarantee safety, availability or download speed. Moreover, we don't and we won't provide any pirated/illegal versions or tools. We recommend you to avoid it as these methods can harm your device. If you like the software, buy it to support the developers. (We provide software discounts for many worldwide brands).